Registration for the SNEB 2019 Annual Conference is open now! Networking with more than 600 nutrition education peers and colleagues from around the world. 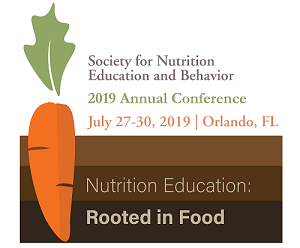 More than 20 sessions on nutrition education research, programs and practice covering topics including families, technology, food service, weight and health across the lifespan, communications and more. One-on-one face time with the leading voices in nutrition education. More than 200 poster and oral abstracts presentations covering groundbreaking research and programs happening in the field. Estimated 30 CEUs from American Association of Family and Consumer Sciences, Commission on Dietetic Registration, National Commission for Health Education Credentialing, Inc., and the School Nutrition Association. A mobile app designed to enhance your conference experience, offering quick and convenient access to the information you value most. This year, the conference will be held in Orlando, Florida! Bring your family to Florida and turn your conference visit into a vacation to remember. SNEB goes to Cuba! For the first time in its history, the SNEB Annual Conference will travel internationally for a post-meeting tour in Havana, Cuba. Join us for this unique opportunity to explore Cuba's rich culture and history. EFNEP celebrates its 50th anniversary. And more! Complete conference details including speaker list, hotel room rates and more, can be found at www.sneb.org/2019. For questions or more information, email info@sneb.org. 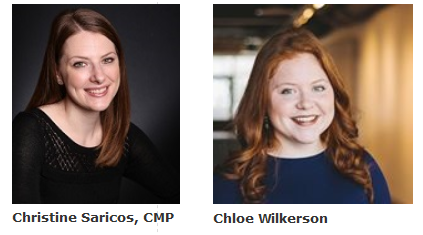 Please welcome the newest SNEB staff members to the team! Christine Saricos, CMP is joining the SNEB team as the new Director of Meetings. She holds the Certified Meeting Professional designation through the Events Industry Council and has been with Raybourn Group International for over 10 years planning meetings and events for several association clients. Chloe Wilkerson is brand new to Raybourn Group, coming on staff in January of this year, and she is thrilled to be a part of the SNEB team! A graduate of Bellarmine University (Louisville, KY), but an Indiana Hoosier by birth, Chloe brings background experience in nonprofit event planning, fundraising, data management, and auction technology to the team. "I have been warmly welcomed by members since joining the SNEB team, and I have truly loved learning from them and experiencing their passion for the industry." The goal of the Joanne Ikeda Memorial Student Scholarship is to provide financial assistance to a student to attend the SNEB Annual Conference. Joanne Ikeda was an internationally known nutritionist and former SNEB president who passed away in November of 2018. Joanne played a huge role in the development of a new approach to weight management, Health at Every Size® (HAES). To be eligible for consideration for this scholarship the applicant must be a Student Member of SNEB. Applications are due on April 19, 2019. The goal of the Society for Nutrition Education and Behavior Food and Nutrition Extension Education Division (FNEE) Student Scholarship Program is to provide financial assistance to attend the FNEE Pre-Conference and SNEB Annual Conference. To be eligible for this scholarship, the applicant must be a senior undergraduate, graduate, or international student enrolled in a United States or international degree program in nutrition, family and consumer sciences, public health, health education, community health, or closely related field. The application form and essay must be submitted by April 19, 2019. Epidemiological studies have described a "Dietary Acculturation Paradox": Increased acculturation to the United States is associated with poor diet. Thus, understanding how to communicate about diet in a culturally appropriate manner with bicultural populations is critical for advancing public health goals. In this webinar, I present evidence from a series of related studies with Mexican-Americans that demonstrate how communication — information from the media and non-clinical sources — contributes to the dietary acculturation paradox. I will also discuss implications for the design of effective nutrition messaging, including strategies for re-appropriating culture to empower and activate bicultural Latinos for social change. Dr. A. Susana Ramírez is a social scientist whose research focuses on communication in the service of social justice and health equity. Currently funded research examines the development and effectiveness of culturally tailored messages for bicultural Latina populations, the feasibility of using mobile phones for tailored behavior change communications, understanding communication barriers to health decision-making, and developing a multilevel communication strategy to create a culture of health. Dr. Ramírez is an Assistant Professor of Public Health Communication at the University of California in Merced. She was awarded the 2017 Early Career Award by the American Public Health Association’s Public Health Education and Health Promotion Division. Dr. Ramírez earned a PhD in Communication from the Annenberg School for Communication at the University of Pennsylvania, a Master of Public Health from Harvard University, and a Bachelor of Arts in Communication from Santa Clara University. This presentation is about eating behavior of indigenous people towards the conservation of natural resources. Being that Ecuador is a mega diverse country, it has a high food biodiversity and many cultures who consume it. Deforestation is, however, perceived as a big barrier for dietary diversity as natural resources, together with several food species, are disappearing. Our study documented the calls to action to overcome the latter issue. Dr. Penafiel is a food scientist devoted to the understanding of indigenous eating behavior aiming towards SDG2. She has a master's degree in Rural Development and Human Nutrition and a PhD in BioScience Engineering. Currently, she has worked with amazon, coastal and Andes communities in Ecuador. As a future plan, she wants to document eating issues in the Galápagos Islands. The webinar will focus on presenting the results from a research project that aimed to identify factors perceived to influence implementation of healthy eating policy, systems, and environmental strategies (PSEs) in child care settings serving low-income children. We will present the background of the project, the methods, and results of this mixed-method project. Finally, we will discuss how findings informed the operationalization of indicators and the development of an assessment tool designed to tailor PSE implementation to diverse childcare settings. Dr. Allison Parsons is a Public Health PhD dedicated to partnering with community members and stakeholders to improve child health equity. Her training and expertise are in qualitative methods including ethnography, in-depth one-on-one interviewing, focus groups, and photo-voice. In her research, she focuses on social and environmental factors that promote equitable and optimal health across the life course. Co-producing research with community members and community stakeholders, she aims to identify effective interventions to promote health and well-being and mitigate related disparities. Dr. Madalena Monteban obtained her PhD in Anthropology from the University of Georgia and she is currently a postdoctoral fellow at Argentina’s National Scientific and Technical Research Council. Her research is focused on socio-environmental factors, maternal knowledge, infant nutrition and cultural capital in Andean communities of Peru and Argentina. She also worked as a postdoctoral scholar at Case Western Reserve University, where she specialized in qualitative and quantitative social network research methods applied to nutrition systems among vulnerable populations. Robots picking/making our food, AI voice ordering — Oh my! JNEB Editorial: Coherence in adopting implementation science?